Monday, Nov. 24 from 7:30-8:30 a.m.
For more information about the Webster County Collection Center, contact FBC Mathiston at (662) 263-5323 or drop off shoeboxes for Operation Christmas Child at the church office located at 24901 MS Hwy. 15, Mathiston. Be sure to ring the bell. For other drop-off locations, go to the website at http://www.samaritanspurse.org/what-we-do/operation-christmas-child/ and type in your zip code for the nearest Collection Center. It is a joy to get to be involved with Operation Christmas Child. 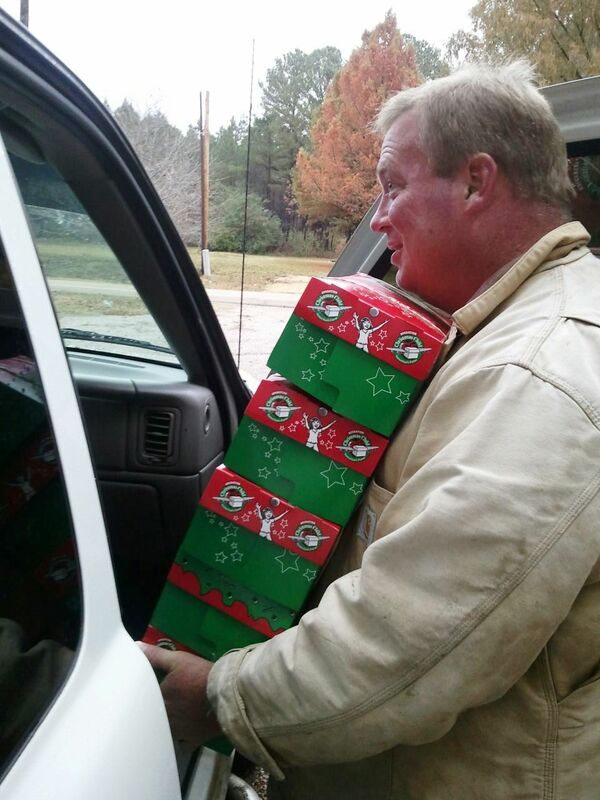 Pine Forest Baptist Church has 31 boxes this years.